Thanks to Miss Red, from IGT, the tale of Little Red Riding Hood has now been brought into the online pokie world. The story of a girl who gets her grandmother confused with a wolf might be a little hard to swallow, (unlike grandmother was for the wolf), but the details are not really covered in this game, with just a few images to set the scene. What’s important for pokie players is that comes with the popular Multiway Xtrapayout system, where players win with symbols in any positons on adjacent reels, while also getting multipliers paid out if more than 1 symbol is on a reel. On top of this, there’s a free spins game and a new End2end feature that completes high-value winning lines. Because of the Multiway Xtra system, it’s not possible to play with just a line or so activated, which means no playing at stakes of 0.01. Instead, the minimum wager is 0.45, which is still reasonable for a game like this, and the maximum is set at 90.00 per spin. Set in a dark and dangerous forest that forms the background picture, this game has 5 reels and symbols lined up over 4 rows. Flowers run up the sides of the reels to contrast nicely with the gloomy background. Instead ofpaylines, there’s 1,024 ways to land a winning combination, with matching symbols simply needing to be on 3, 4 or 5 adjacent reels running from both the left or the right sides. The Multiway Xtra feature means that the same symbol in the same column will multiply the win, so even in the normal run of play, there’s lots of opportunities for some big payouts. All symbols are related to the theme and start with the lower value flowers, pinecones and mushrooms that pay 5 coins when 4 matching ones appear, or 15 coins for 5 of them. A squirrel and a rabbit are each worth 8 or 25 coins, while the woodcutter, who chops open the wolf at the end of the tale, pays out 10 coins for just 3 in a line, or 75 and 125 for 4 or 5. Grandma is worth 10, 75 or 150 coins and then it’s on to our main characters, with the wolf paying 5, 12 or 40 coins and Riding Hood, who is now all grown up into a buxom woman being valued at 8, 15 or 50 coins. Red Riding Hood and the wolf are the stars of the End2End feature which creates 5 of a kind winning lines. If either one turns up on reels that are not adjacent to them, any symbols in between will be transformed into further examples of the wolf or Riding Hood, although they can turn in to a combined symbol if they both land on the reels at the same time. If there’s already a win on the reels, before the transformation occurs, the prize will be paid out, and then a second award for the End2End is paid. Grandmas’ house in the woods is a bonus symbol and any time it stops in 3 positions at once, players are shown 5 baskets of fruit, flowers and mushrooms. They will get to click one of these to reveal a number of free spins that will then play out, with anything from 5 to 15 initially awarded, although getting 3 more bonus symbols during these spins will retrigger the round and potentially this can occur over and over until the maximum of 280 free games have been played. Getting anywhere near this is somewhat improbable though, and anyone who retriggers the round 2 or 3 times is doing pretty well, but these are free games and anything free has got to be good, so maybe we shouldn’t complain. 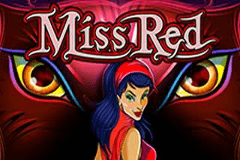 Miss Red is an interesting pokie that has the potential for some big rewards. In the normal run of play, as symbols only need to be on adjacent reels rather than specific paylines, it can be quite easy to get 3 or more of the same type across them, particularly as the line can start from either side. Having wins multiplied whenever matching symbols appear multiple times on a reel is a nice touch as well, and this Multiway Xtra format has proved popular across much of the IGT range. End2End is an interesting concept that’s also sure to catch on, and it comes with some nice animations when it occurs. This feature does, however, replace wild substitutions, so it’s not quite the bonus that it seems at first, but can still create high-value lines, although the free spins are fairly standard and nothing to get too excited about.